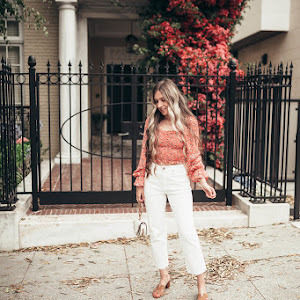 I love mixing prints especially when it works! Stripes are so versatile when it comes to dressing up or down. Once again the heat killed my life. Definitely need to research into hair/makeup products that reduce the heats wrath, suggestions are much appreciated! I'm totally obsessed with clutches recently. I hate carrying around a big old bag where I can never find anything in there! I've been eyeing Clare Vivier clutches for awhile and glad I finally purchased one. So roomy inside and all the different patterns are perfect for all your moods. This look is perfect! 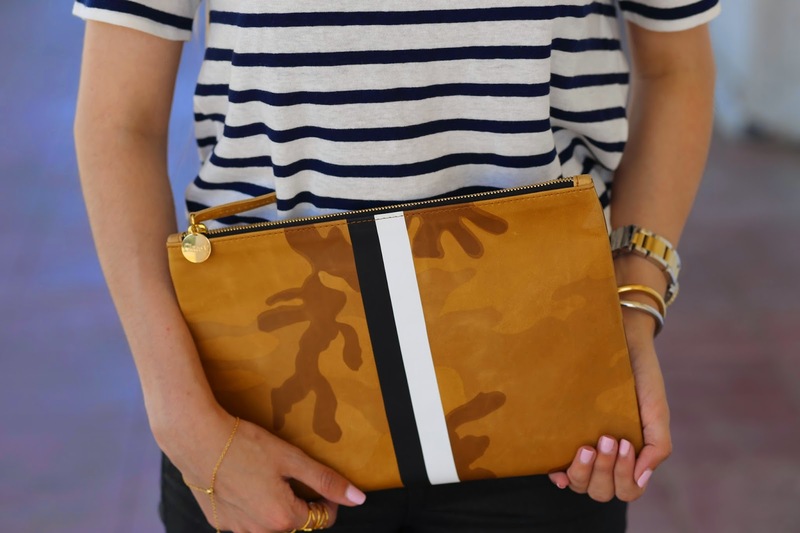 the clutch really works well with the stripes. I wanted those sandals but heard they were so uncomfortable…how do you like them?